It has been a long time since I got out and took any macro photography. I dropped my macro lens a few months back and recently repaired it. I decided to go out and hunt down my favorite macro subject: MUSHROOMS! It is the perfect time of year for mushroom macros, and there was a plethora of them at Oxbow Park this past rainy Sunday. They look like those umbrellas that you get in a cocktail. Great shot! I love the fanciful mushrooms. Surely shading a fairie or two. They are beautifully formed mushrooms. Very pretty mushrooms, love the image. Have a happy week! outstanding image. I sure would love to have a macro lens...some day I hope. They are indeed a beautiful subject for photography. Great shot! I love these tiny mushrooms. Wonderful photo. Glad you got your lens fixed. Great shot. I love finding mushrooms, but I'm totally ignorant about them - their names, which ones are good to eat, etc. But they still faascinate me! 'shrooms! Love the word plethora. Great shot! Hello from the KWP52! Great shot- up close makes for a beautiful image. 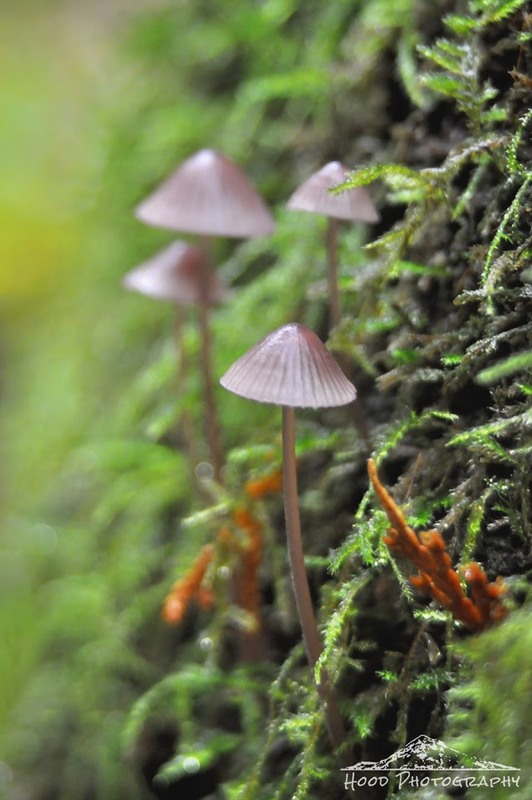 Lovely photo's of the mushrooms ! Lovely shot. They look like little parasols. nice mushroom macro, did you eat them?